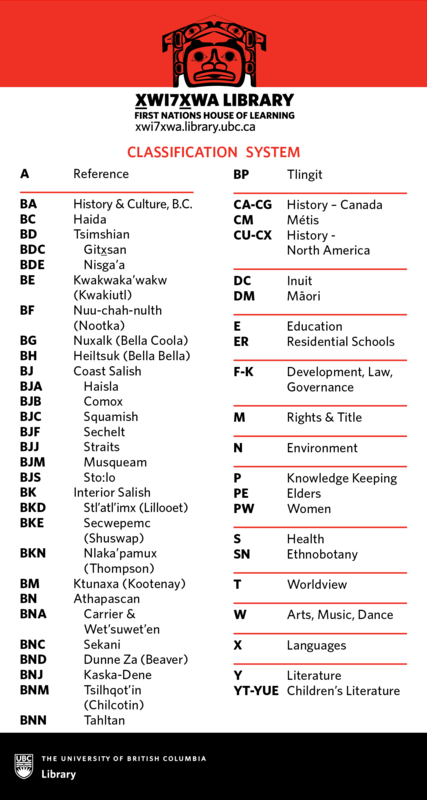 X̱wi7x̱wa materials are catalogued on the UBC Library Catalogue. Select X̱wi7x̱wa as a location filter on the left navigation menu to limit results to items at Xwi7xwa. 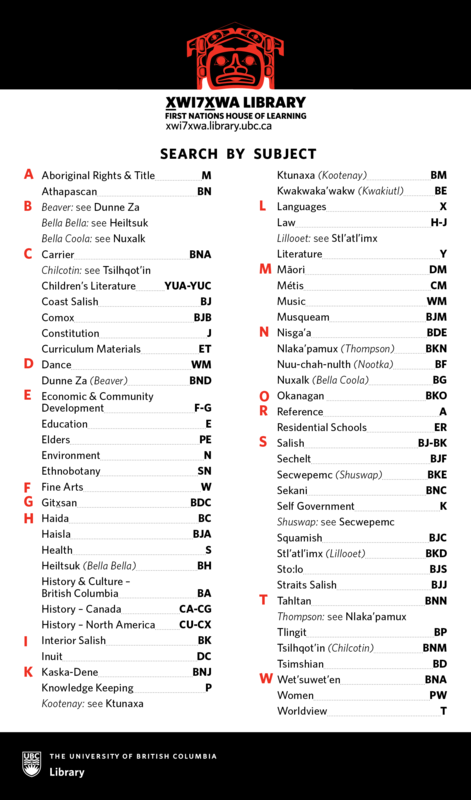 X̱wi7x̱wa uses a British Columbia variant of the Xwi7xwa classification system, developed by Kahnawake librarian, Brian Deer, for the National Indian Brotherhood in the 1970s. 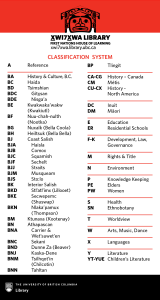 The National Indian Brotherhood is now the Assembly of First Nations. 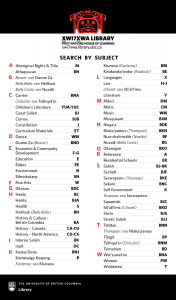 For more information see our Indigenous Librarianship research guide’s tab on Indigenous Knowledge Organization.